B & B Surveying is proud to announce that Deward "Karl" Bowles, RPLS no. 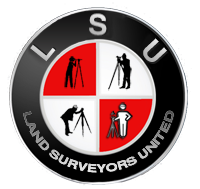 4966, will be speaking at a seminar for Land Surveyors, Lawyers and Real Estate Professionals January 16, 2015 in Houston, Texas. He will speak for a 2 hour portion of the 8 hour seminar on that date covering the topics of Texas Land Surveyor Licensing Law: Compliance and Enforcement Procedures and Complying with Board Professional and Technical Standards between 8 and 10am that morning. Deward "Karl" Bowles has practiced Professional Land Surveying at his own firm for more than 20 years and has testified in numerous legal actions on minimum standards and content for Land Surveys performed in the State of Texas.